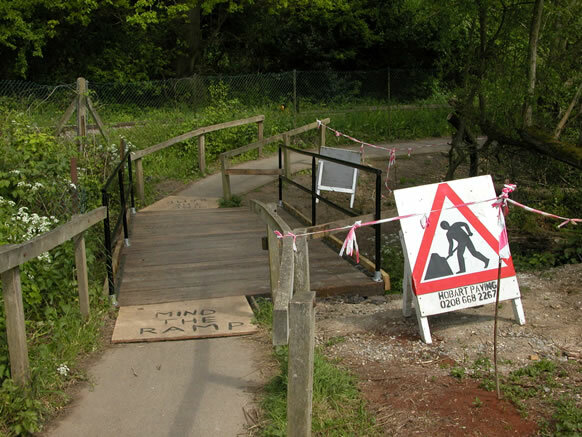 The management of Ruislip Woods is an interesting example of community involvement. Residents are involved in decision making in partnership with the London Borough of Hillingdon (Hillingdon Council). In this way, the local community decides its future direction. The body that oversees this is called the Ruislip Woods Management Advisory Group (RWMAG). RWMAG was set up by Hillingdon Council in 1982 to oversee the implementation of the Long Term Management Plan (LTMP) that had just been adopted by Hillingdon Council. The LTMP is a detailed 100 year plan that had been prepared by the Ruislip-Northwood Woods Advisory Working Party following a famous public meeting in 1979. RWMAG measures its progress and reports back to Hillingdon Council periodically. There must be a balance between the use of the Woods by the public and its protection as a National Nature Reserve (NNR) and Site of Special Scientific Interest (SSSI). RWMAG also advises Hillingdon Council on the management of Ruislip Woods and the preservation of their ecology. It has become a forum for new ideas and proposed developments. It also agrees the annual costed action plan for the maintenance of Ruislip Woods. RWMAG consists of representatives of the Ruislip & District Natural History Society, the Ruislip, Northwood and Eastcote Local History Society, the Residents Associations of Eastcote, Harefield, Northwood, Northwood Hills and Ruislip, the Ruislip Woods Volunteers, woodland users such as representatives from the Ramblers Association, Hillingdon Equestrian Forum and the Hillingdon Athletic Club. RWMAG would welcome a representative from a cyclist organisation that uses the Woods. If you want to become a volunteer in Ruislip Woods then please contact secretary@ruislipwoodstrust.org.uk for more information.